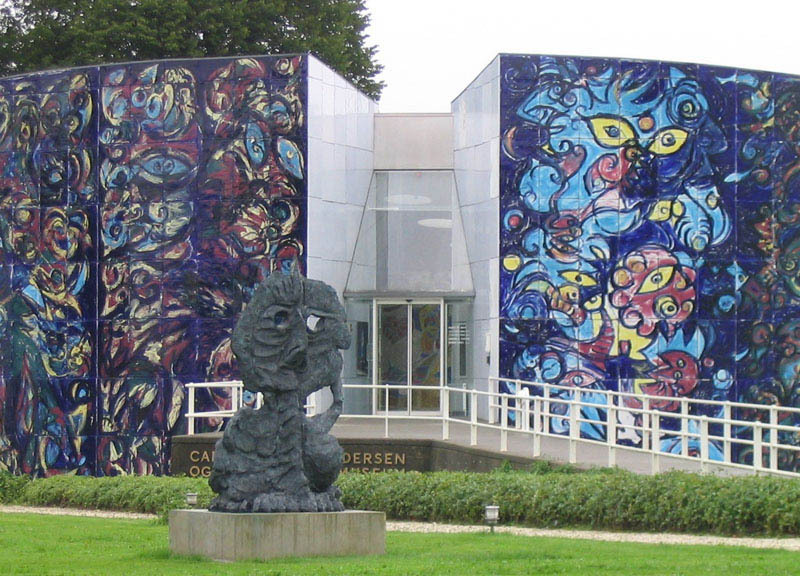 Herning Art Museum (Herning Kunst Museum) houses a large collection of modern art from Danish and International artists. 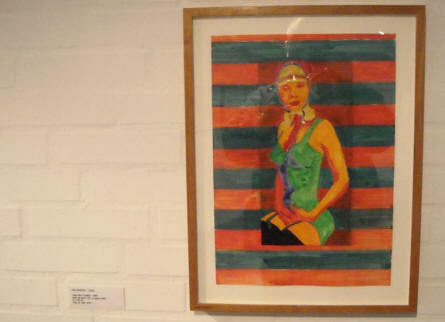 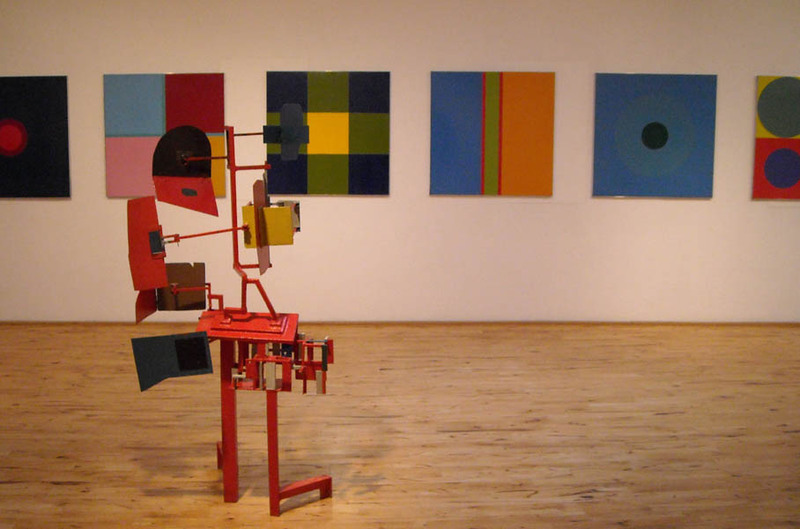 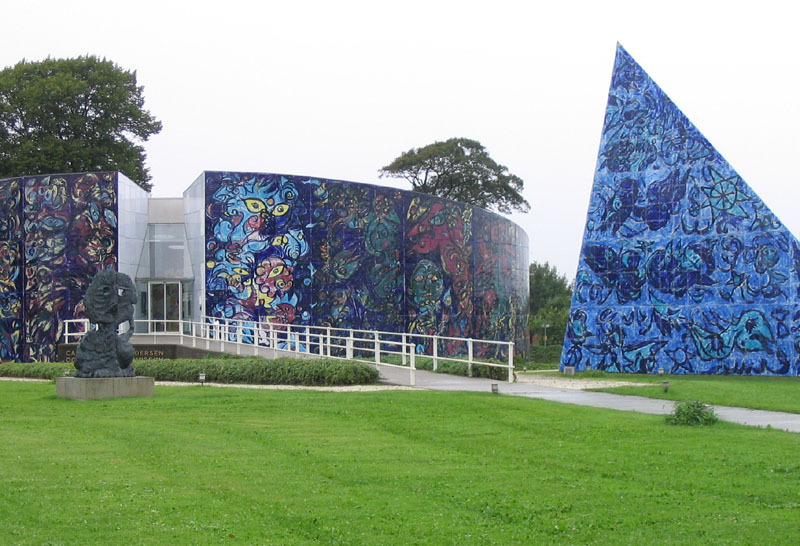 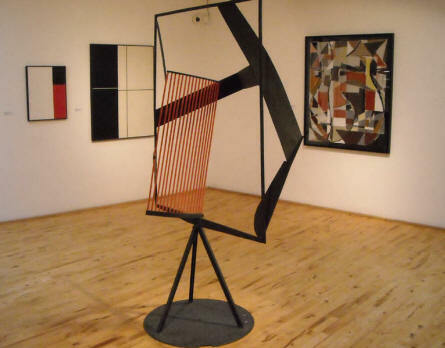 Next to Herning Art Museum there is a separate museum dedicated to and decorated by the Danish artist Carl-Henning Pedersen and his wife Else Alfelts. This building is in itself a work of art. 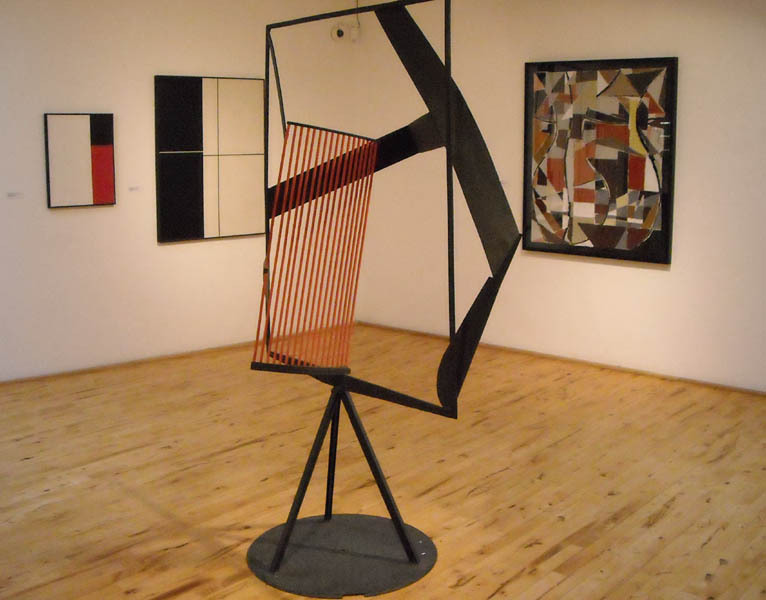 Inside Herning Art Museum you find a lot of modern art created by Danish or International artists. A drawing by the Danish artist Per Kirkeby at Herning Art Museum. 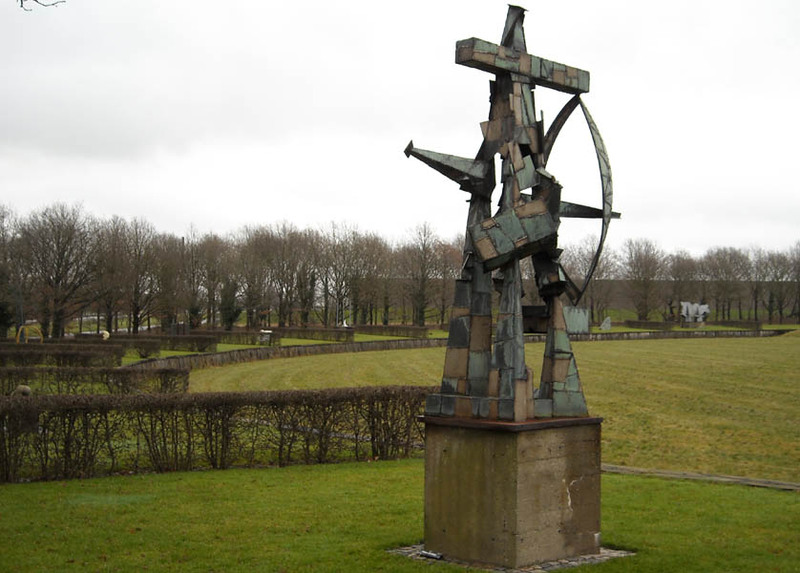 Outside Herning Art Museum there is a large sculpture park with modern sculptures. 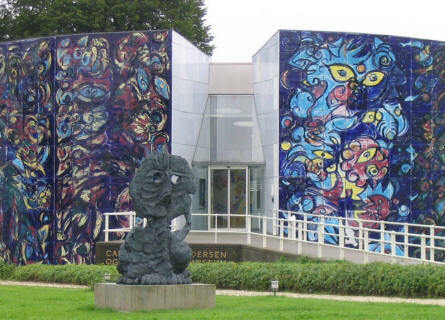 The Carl-Henning Pedersen and Else Alfelts Museum - next to Herning Art Museum - is decorated by the Danish artist Carl-Henning Pedersen - and is in itself a work of art. One of Carl-Henning Pedersen's sculptures outside the Carl-Henning Pedersen and Else Alfelts Museum - next to Herning Art Museum.